More than 280 Australians develop Diabetes every day. Type 2 is the most common type, affecting approximately 80 - 90% of all people living with diabetes. Glucose is one of the most important energy sources for our bodies. It enters the body via carbohydrates in our diet which our body then converts into glucose. The pancreas provides the insulin required for the glucose to enter cells and be used as energy. Diabetes is a condition where there is too much glucose (sugar) in the bloodstream, and the body cannot make enough insulin to maintain healthy levels. Ensuring your diabetes is well managed is vital. 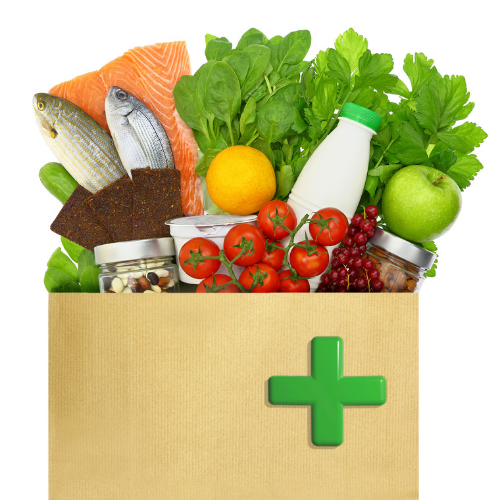 The best way to control, or in some cases delay or prevent type 2 diabetes is to maintain a healthy lifestyle. Walking, running, cycling, gym and yoga are some great examples. Cutting down on heavily processed foods and fast fried foods. However one of the main areas of the body that needs extra caution and attention is the feet. Uncontrolled diabetes can damage your nerves. If you have damaged nerves in your legs and feet, you might not feel heat, cold, or pain. This lack of feeling is called "sensory diabetic neuropathy." 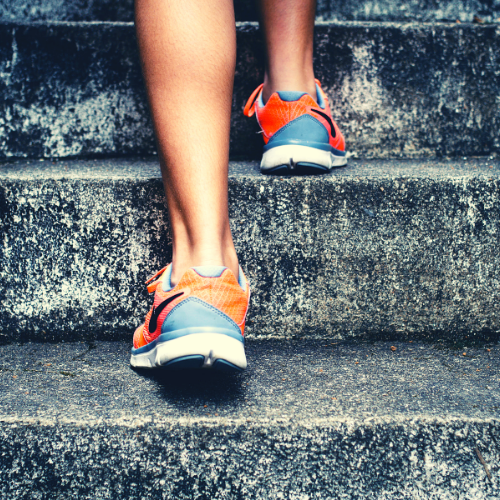 If you do not feel a cut or sore on your foot because of neuropathy, the cut could get worse and become infected which can lead to more serious complications. The worst thing you can do is to neglect your feet. Wearing synthetic or cheap fibres can promote moist bacteria loving ecosystems in your shoes, creating a sweaty sticky mess. Poorly constructed seams that continually rub on the foot causing inflammation and abrasion. And finally, rib trim that is too tight and restricts circulation exacerbating the foots natural healthy condition. 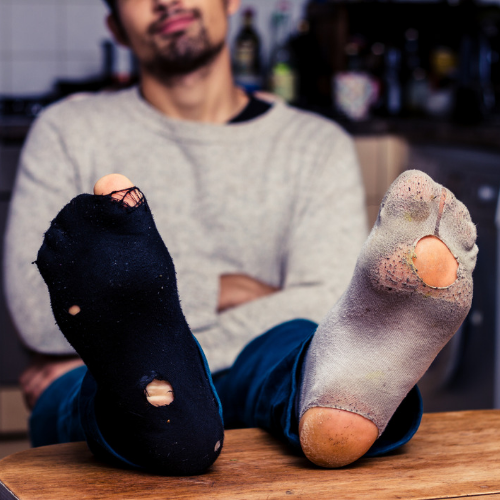 Bamboo socks can provide the superior protection your feet need. Bamboo fibre itself is a super fibre, a supple luxurious thread that feels softer than cotton. natural wicking properties continually draws moisture away from the skin keeping foot comfortably dry. Bamboo contains a property called "kun" a natural anti bacterial agent that neutralises bacterial hence no stinking shoes. natural thermoregulation, this ability to regulate temperature means it is able to keep you cool in summer, and warm in winter. 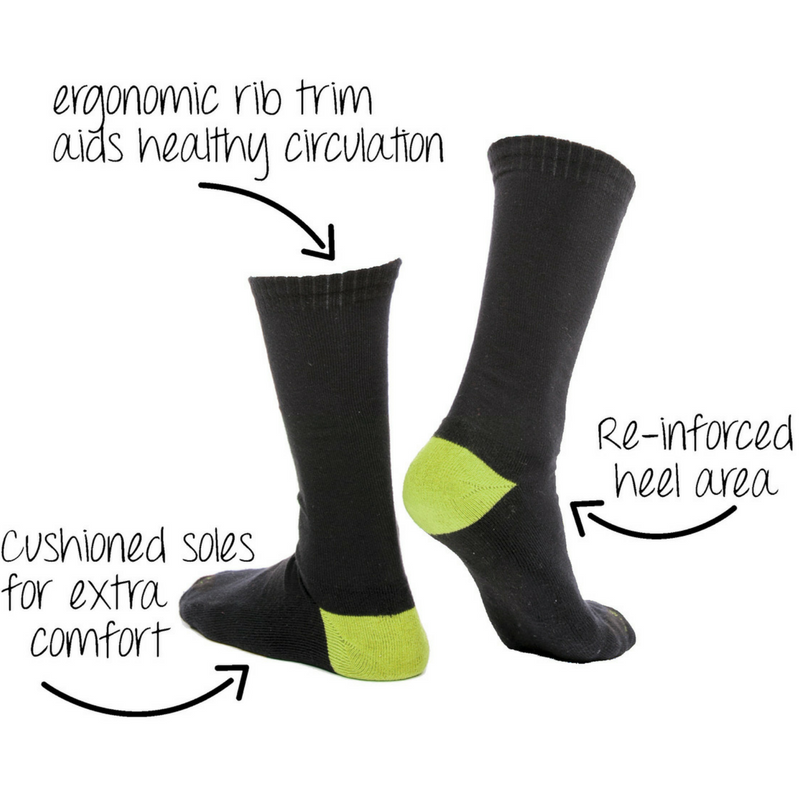 Bamboo Monkey socks have been engineered for comfort, resilience and durability, with ergonomic rib trim for healthy circulation and re-inforced heels and toes for maximum comfort. Bamboo Monkey socks for 24/7 comfort and protection. Grab any one of our economical sock packs and receive FREE a mesh laundry bag (rrp $9.95), ensuring you will never again end up with odd socks in the wash.
Offer available to all customers purchasing their first ever Bamboo Monkey sock pack.